League board members can be both elected by the membership and appointed by the board. A majority of board members must be elected by the membership in elections. Applicants must review the requirements and accept the responsibilities (see below). Candidates write a statement of qualifications addressing the seven qualifications below, showing how she/he meet the qualifications for serving on the League board. The League Board Governance Committee will determine if applicants are qualified to be placed on the ballot. Profiles and photos of each candidate will be included on bikeleague.org with voting instructions. The new members of the League Board of Directors will be seated in October 2019. The Board of Directors of the League of American Bicyclists should be composed of persons who understand and embrace the League’s mission to lead the movement creating a Bicycle Friendly America for everyone. As leaders, our commitment is to listen and learn, define standards and share best practices to engage diverse communities and build a powerful, unified voice. Directors should be knowledgeable about the issues facing our world to provide insights into how the bicycle can be utilized to address them. For the Board to be effective, members must be willing to demonstrate their commitment to the mission through regular attendance of board meetings and active participation in one or more board committees. Membership in the League is a minimum qualification. Additional factors to be considered include: length of membership, attendance at League‐sponsored events, participation at the National Bicycle Summit, completion of League‐sanctioned training, and/or volunteer service on a League Committee. High qualification is many years of ongoing participation in the League’s activities. The League board is responsible for the following to maintain a sustainable and robust organization. 1. Determine mission and purpose. It is the board's responsibility to create and review a statement of mission and purpose that articulates the organization's goals, means, and primary constituents served. 2. Select the chief executive. Boards must reach consensus on the chief executive's responsibilities and undertake a careful search to find the most qualified individual for the position. 3. Support and evaluate the chief executive. The board should ensure that the chief executive has the moral and professional support he or she needs to further the goals of the organization. 4. Ensure effective planning. Boards must actively participate in an overall planning process and assist in implementing and monitoring the plan's goals. 5. Monitor and strengthen programs and services. The board's responsibility is to determine which programs are consistent with the organization's mission and monitor their effectiveness. 6. Ensure adequate financial resources. One of the board's foremost responsibilities is to secure adequate resources for the organization to fulfill its mission. 7. Protect assets and provide proper financial oversight. The board must assist in developing the annual budget and ensuring that proper financial controls are in place. 8. Build a competent board. All boards have a responsibility to articulate prerequisites for candidates, orient new members, and periodically and comprehensively evaluate their own performance. 9. Ensure legal and ethical integrity. The board is ultimately responsible for adherence to legal standards and ethical norms. 10. Enhance the organization's public standing. The board should clearly articulate the organization's mission, accomplishments, and goals to the public and garner support from the community. Minimum qualification is experience in one of the above areas. High qualification is proven expertise in one or more of these skill areas. Candidates may be asked to provide references. A high qualification would be references from a variety of sources demonstrating a number of these qualities. Provide financial contributions commensurate with their individual ability. At a minimum, board members are expected to pay registration to the National Bike Summit and their travel and expenses to attend Board meetings which occur two times each year. Introduce and expand connections with potential donors, business and political leaders, and other sources of support for the League. Do members still elect the majority of board members? Yes. The majority of board members are directly elected by the membership. The value of appointing members to the board is that particular skills and attributes that the board needs can be recruited – and remember, the majority of the board members making the appointments are always going to be elected. How has representation been affected by at-large rather than regional elections? The six regions into which the League membership was divided for board elections were arbitrary and unwieldy; board members struggled to truly “represent” their regions. Under the new system, both elected and board-appointed members are responsible for considering the needs of all League members, and indeed all cyclists. 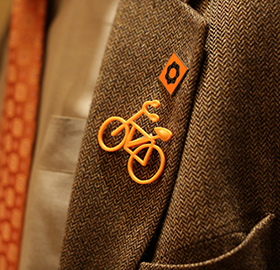 Our appointed board members have always had strong ties to the bicycling community and impressive bicycling credentials. At the same time as we made this board change, we also reinvigorated the State Ambassador program to better connect the League to state and local activities, clubs and advocacy groups. How are candidates for the board selected? In March the League will announce the opportunity to apply for open board positions via the League's website, E-news and social media. Once applications are submitted by May 1, the nominating committee will evaluate each candidate based on seven specific qualifications and their capacity to provide high-quality, national board service. Committee members take this responsibility extremely seriously, to ensure that all the candidates have the basic qualifications necessary to serve the League well, regardless of their specific platform or views. Each member of the governance committee will make an independent recommendation that will be tallied and sent to the board as a recommended list of candidates. They will approve the nominations for the upcoming election. Those not selected will be thanked and invited to continue to play an active role in the League. How do other national membership organizations organize their boards? There is no single or right way to govern a national membership group; the hybrid approach of having some appointed and some elected board members is common and the use of a board nominating or governance committee to manage the election process is standard. In our own small world of bicycling, IMBA, Adventure Cycling and People for Bikes all have different board selection approaches — none as transparent as the League. The League moved to a preferential voting system for the 2011 board election. We tested our system by conducting a survey for our members on our website. We asked you to rank a list of 10 cyclists from 1 to 10, and then used the principles of instant runoff voting (IRV) to determine the all-time best cyclist, and the four runners up, in a trial run of how we’ll elect our five board members. Here’s how the vote was calculated. We thank the experts over at Fair Vote for their technical assistance in this test vote. In the first ballot, Eddie Merckx had a simple majority of the first place votes, with 68 votes of 133 cast. He’s our best cyclist of all time, and was elected to the five member “best cyclist” board. Bernard Hinault, Francesco Moser, and Graeme Obree received no first-place votes. With Merckx already elected to the board, we turned our attention to the second slot. Merckx’s name was removed from all the ballots, redistributing those 68 first place votes to the second name on each of those ballots. While Lance Armstrong had fewer votes than Major Taylor before Merckx’s votes were redistributed, he had the lead when the second ballot began, and he would never look back. Here’s how the vote looked at the beginning of the second round. There were more than enough votes in play when Jeannie Longo was eliminated to put Major Taylor over the top, but her ballots were split equally between Armstrong and Taylor, and Armstrong won the second slot by 4 votes over Major Taylor, almost exactly the difference between the two men at the beginning of the ballot. Armstrong was then eliminated from all of the ballots to conduct the runoffs for the third slot. The third election was very similar to the second — cyclists were eliminated in the same order, and Major Taylor led from the first ballot to the last. The instant runoff system played a more interesting role in the election of the fourth candidate to our “board,” following the election of Merckx, Armstrong, and Taylor (and their elimination from the ballots for the remaining two slots. Bartali and Obree were eliminated first, with the order of elimination being unimportant, since six additional votes would not have saved either man from being the next to be eliminated. Hinault’s 27 votes could have cast the result in either direction, but at this point you had to suspect where things were headed: a voting block of fans of European men’s road racing was now setting the pace. And indeed, Coppi received 2/3rds of the reallocated ballots, to win the fourth slot by a 10 vote margin. Jeannie Longo began the balloting for the fifth board slot with a commanding lead. As her competition were dropped, one by one, she slowly added to her vote total, but Hinault was gaining ground, buoyed by the same voting block that had pushed Coppi into the fourth slot. She did attain the required majority in the final ballot, winning 67 votes to 62 after the elimination of Jacques Anquetil.